As someone who loves food, I spend a lot of time scrolling through large food accounts on Instagram. As someone who also only eats halal, I’m not too sure all that scrolling is really a good idea and I’ll tell you why. Most of the amazing looking food – that delicious philly cheese steak, those soup dumplings smothered in chilli oil etc. 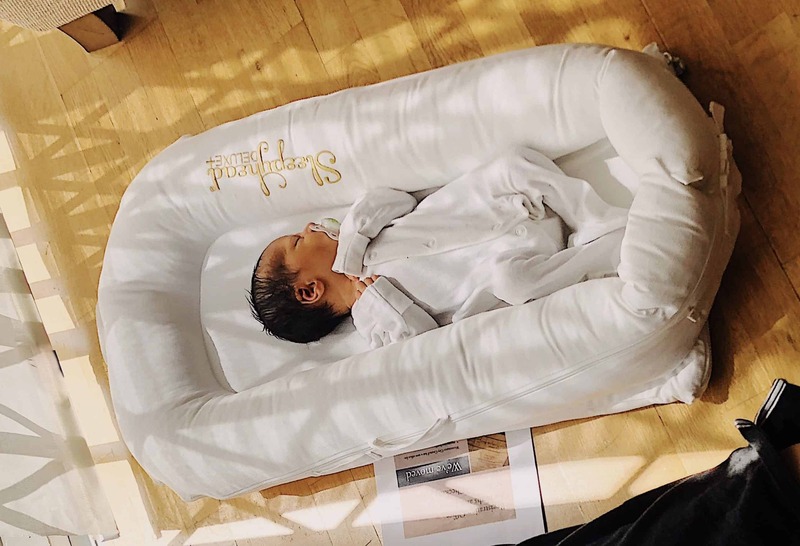 – are not halal and this gives me major FOMO. Having come across momos on my feed, I was determined to find halal ones and I finally came across Momo and Roti. 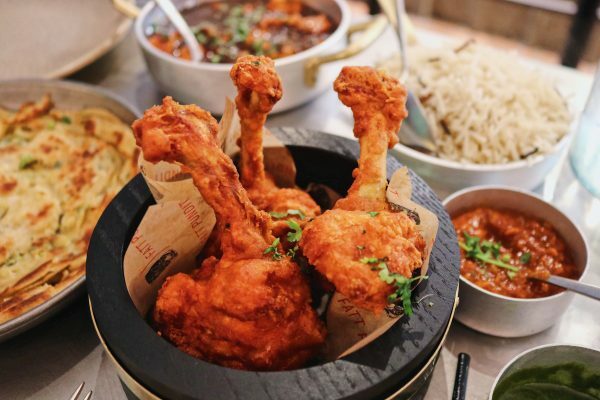 Momo and Roti is located in Hounslow. Yes, super far away. 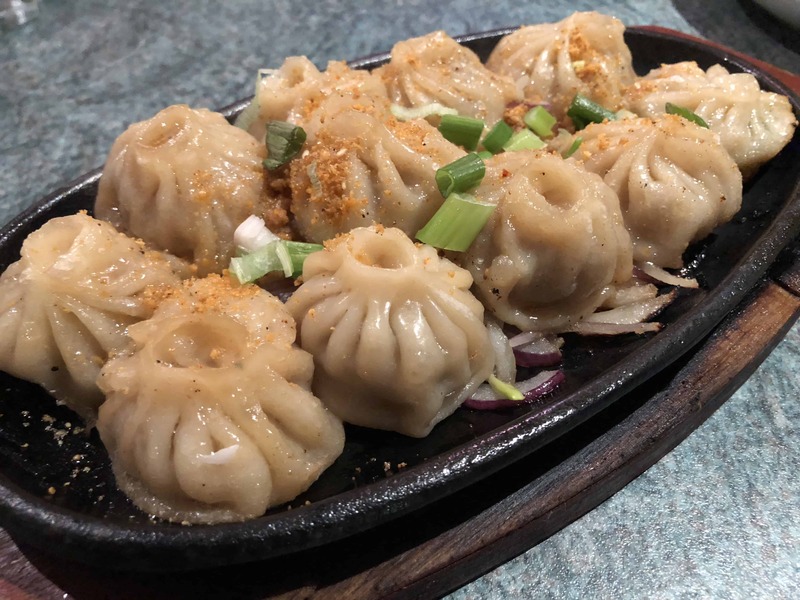 Luckily, they opened up another branch recently in Wembley and I decided to make the drive down with my good friend Sheepa, just so that I could indulge in some momos. When we walked in, the place was completely empty – lucky us! 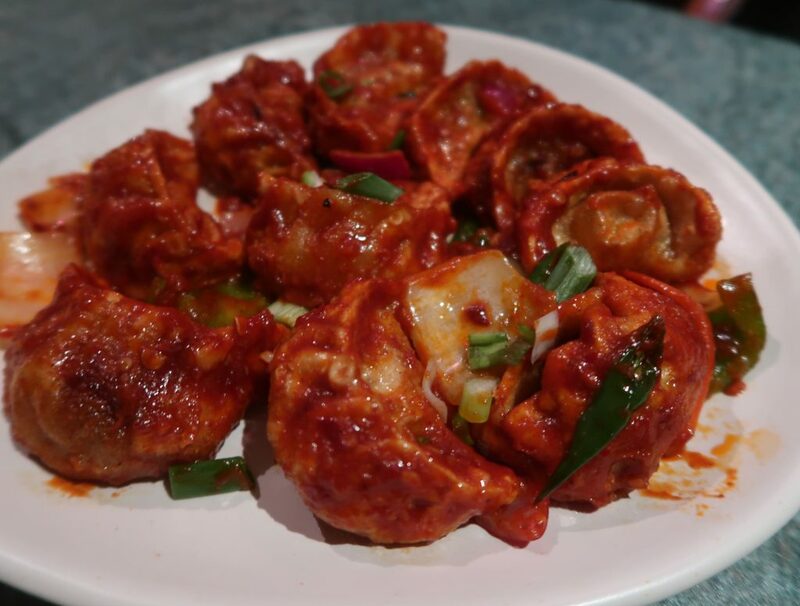 Deep-fried lamb momos smothered in a bright red chilli sauce. Sadly, these were not crunchy enough given that they were fried but I kind of liked the slight chewiness of the dumplings and found the chilli sauce made the momos so much more moreish. Definitely my favourite momos at Momo and Roti. 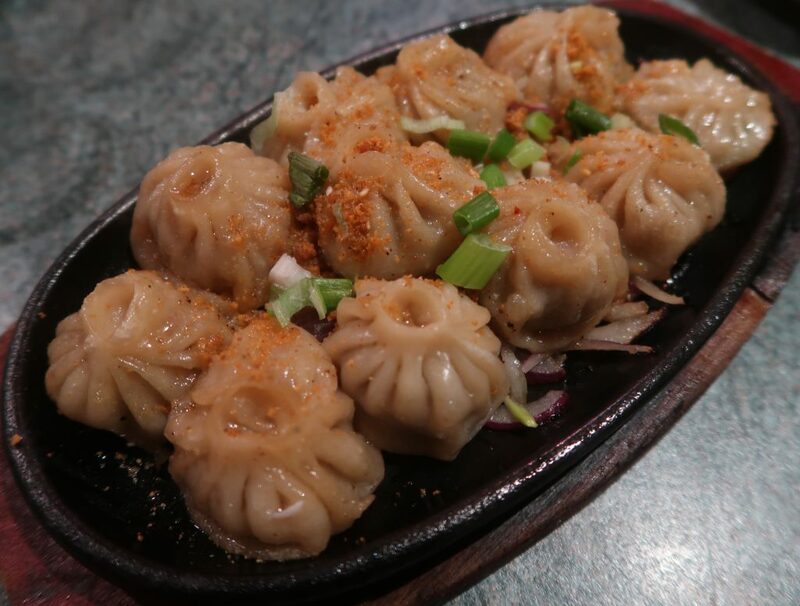 These arrived on a super hot, sizzling hot plate, with onions and green peppers, allowing the cute momos to crispen up on the bottom. Unfortunately, only a few were able to get that desired crisp base whilst the rest remained soft. 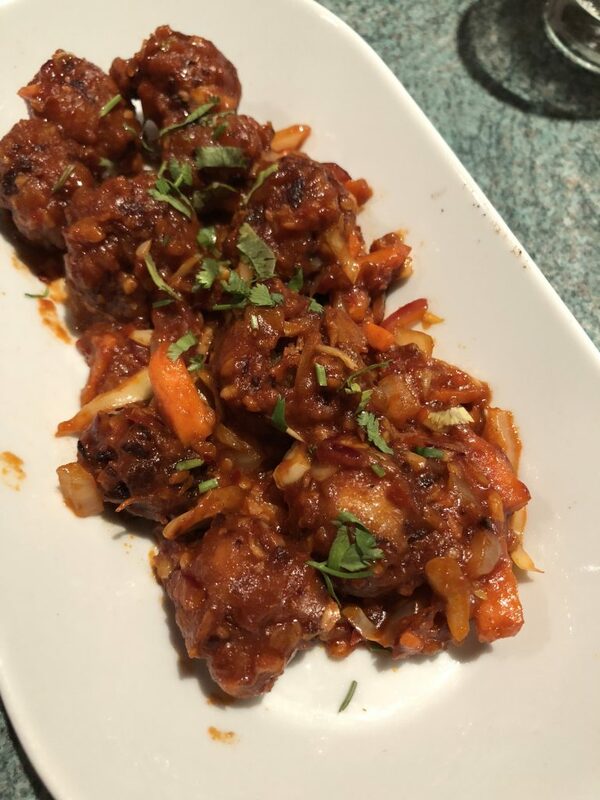 Nevertheless, the dumplings had been filled with a lightly spiced lamb filling (we had ordered chicken but I suspect a mistake had been made) and had picked up a slight sweetness from the sautéed onions and peppers. 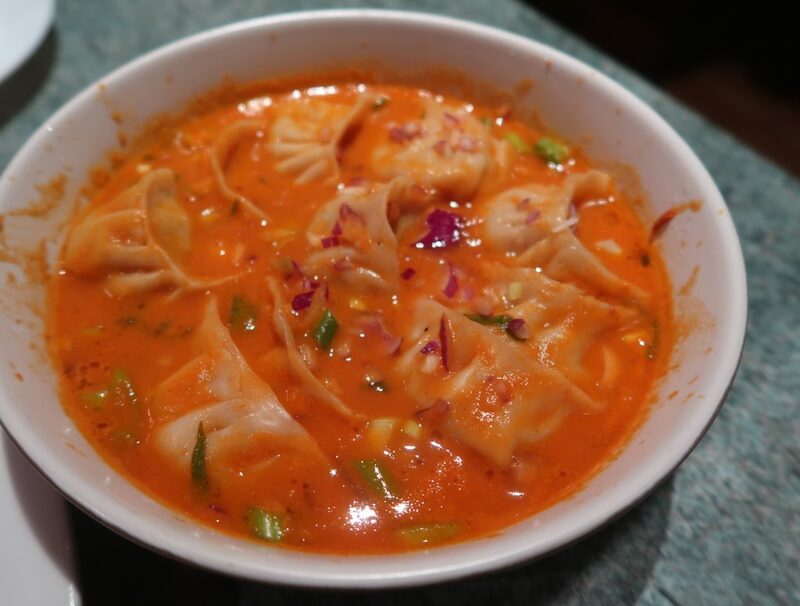 A big bowl of a tomato and sesame based soup filled with an abundance of vegetable momos. On their own, the dumplings were average and needed a flavour oomph, which is where the hot and tangy chutney (jhol/soup) came in. The base was almost akin to an aromatic curry, with hints of chillies, fenugreek and coriander, and this helped to make the okay momos into something delicious. 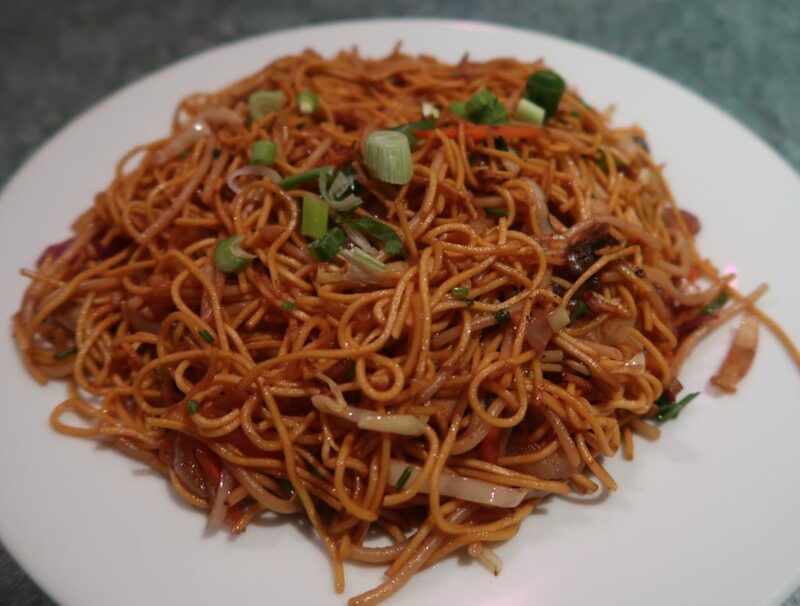 Nothing out of the ordinary vegetable noodles. 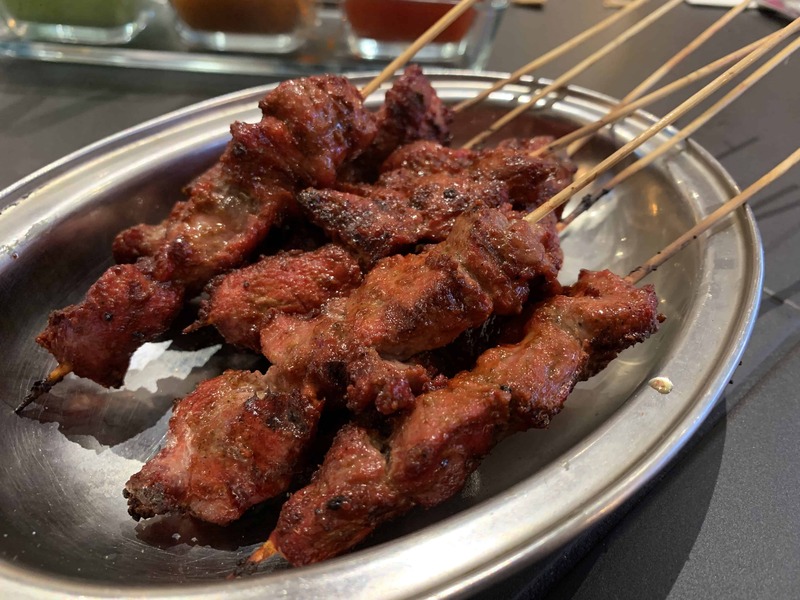 Two small skewers of marinated, grilled lamb. 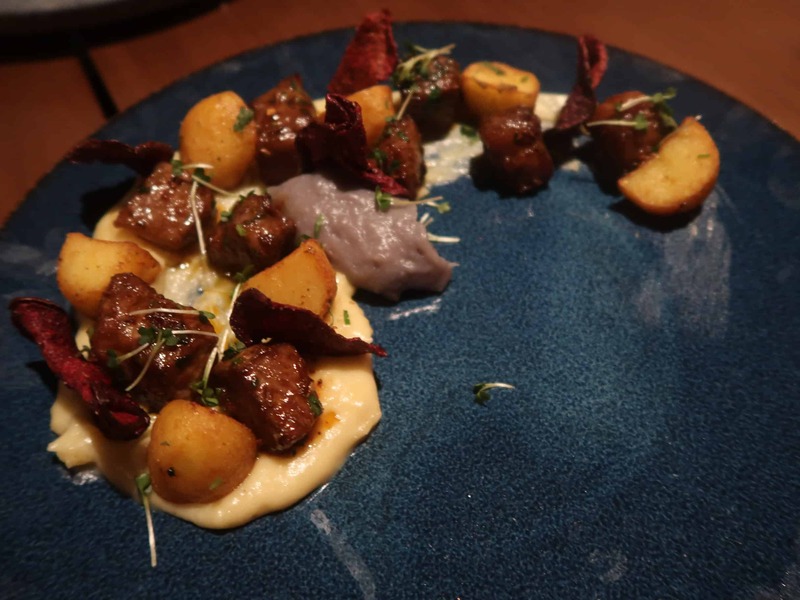 Each bite exploded with immense flavour but the meat ended up becoming very chewy. Small minced chicken balls that had been fried and doused in a hot and vinegary manchuarian sauce. This was a weird one, because as much as I didn’t enjoy the chicken itself, I kept stuffing my face whilst pushing the dish away saying I did not want anymore. This was probably due to the sauce packing a good punch. 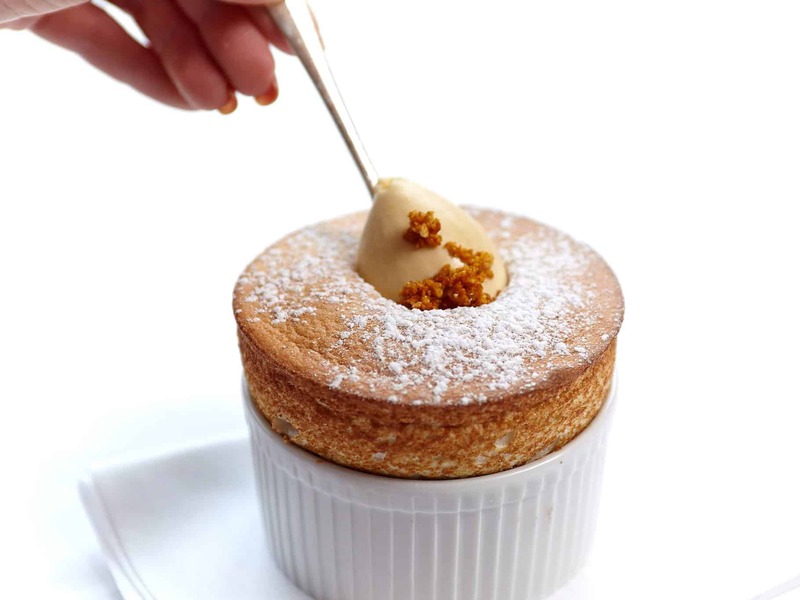 The total bill amounted to approximately £47 for two people, including drinks and service, so around £23.50 each. This was reasonable given that we had clearly over ordered and ended up needing to roll out of Momo and Roti. Sure, the food is not outstanding and is very homely, but it just hit the comfort spot in so many ways that I would be happy to return for a quick halal dumpling fix. The wait for the food, however, did take extremely long to come out so perhaps it wouldn’t be as quick as I would hope. For Momo and Roti’s website, click here. All meats served here are halal and this has been confirmed by the restaurant. No pork but alcohol present. This is a child friendly establishment. This is not a gluten-free friendly restaurant.